As everyone is opening gifts this holiday season, we wanted to give thanks to those serving abroad. 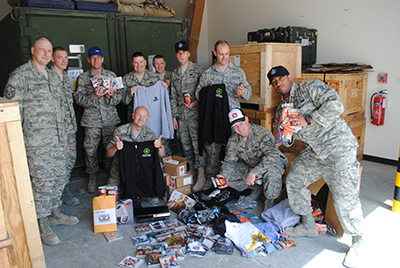 This past year, Biosilo has been sending Gamer Grub to Afghanistan and military hospitals via Operation Supply Drop. A taste of home goes a long way when being away during the holidays. Founded in 2010 by Army Airborne Ranger, Captain Stephen “Shanghai Six” Machuga, Operation Supply Drop is a 501(c)(3) public charity designed around sending video game filled care packages to soldiers both deployed to combat zones and recovering in military hospitals. 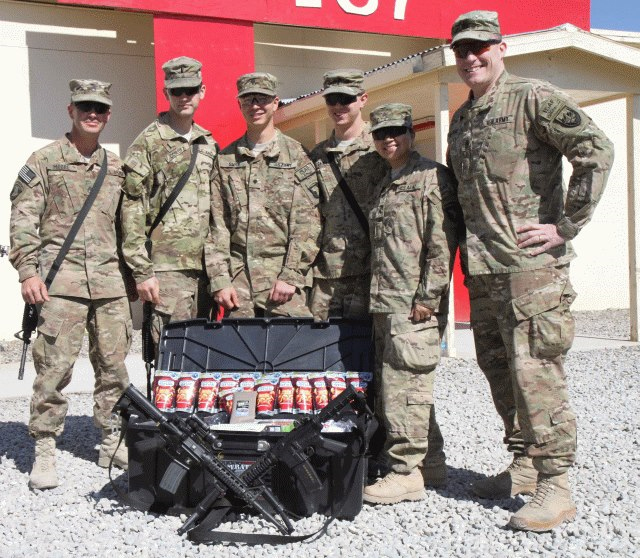 OSD has already raised $650,000 in donations from across the gaming community and has provided support to approximately 1500 soldiers worldwide. To learn more about Shanghai Six, the Operation and how it’s accomplished, please watch the video below. I would like to formally thank everyone involved with Operation Supply Drop. The tournament I threw was an amazing success. I had 32 contestants and everyone received a prize. I left a point some solders with some necessary equipment to continue the tournaments that you have supplied via your sponsors. Gamer Grub was interesting, first everyone was curious and once people figured out how good it was, it was devoured. I just didn’t have enough of those good snacks. A lot of the people were asking where I got them and where they can get more. The video games were not to mention the reason why everyone was there, Black Ops II came out when everyone was already here so no copies were around. You could cut the excitement with a knife. The most popular prize was surprisingly not the games but the T-shirts. Everyone wanted the Winding Monkey T-shirts. After laying out the prizes on the table people who otherwise I would never speak to were curious and started a spectator table. As you might know all branches except for the Marine Corp, showed up and ranks from E-1 to O-4. My unit will be leaving soon so this was a blessing to happen while we were still here, I’ll never forget it (and I’m sure I won’t be the only one). I had a great time and it would have never happened without your help and support!